WILLEMSTAD - The National Security Service of Curaçao (LBD) handed over the keys to ‘new’ cars to the Minister of Justice, Nelson Navarro. 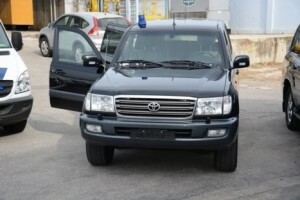 During an official ceremony nine cars were made available to the Curacao Police Force. These are used cars from the Netherlands. The cars were delivered, among other things, to transport detainees. 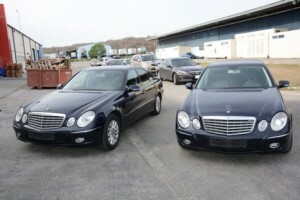 More luxury cars will be used to transport dignitaries. 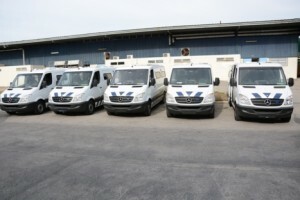 Project Ton Golstein of the Department for Judicial Institutions in the Netherlands, Chief of Police chief, Rudsel Martina and National Security Service of Curaçao (LBD) Rigo Thode were present at the delivery of these cars in the industrial park Brievengat.